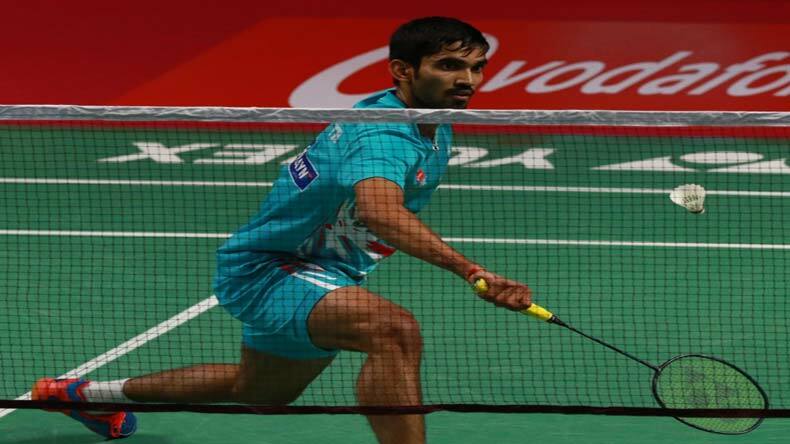 Indian ace shuttler Kidambi Srikanth after winning four Superseries titles in 2017 will be aiming to replicate Parupalli Kashyap's heroics from Glasgow at the Commonwealth Games 2018 in Gold Coast. World number 2 Srikanth has been in terrific form recently and will be spearheading a strong Indian men badminton contingent consisting the likes of HS Prannoy and B Sai Praneeth. Kidambi Srikanth in the past few years has vastly transformed into a player who can be lethal on his day against the best of the shuttlers. The world number 2 will be spearheading Indian men’s badminton team at the Commonwealth Games in Gold Coast. Since his bronze medal at the 2014 Commonwealth Games in Glasgow, Srikanth has come a long way while breaking a number of records to become the second-best player in the world. Parupalli Kashyap bagged gold for India in Glasgow and this time around it will be Srikanth who would be willing to replicate the feat. The tournament is expected to be a relatively easy stride for Srikanth who has beaten the likes of Chen Long and Lin Dan at their prime. With China, Indonesia and Denmark not participating in the Commonwealth Games, Srikanth’s biggest challenge can come from Malaysian veteran Lee Chong Wei who will be heading into his possible last Commonwealth tournament. The likes of HS Prannoy and B Sai Praneeth can also pose a daunting challenge to their Indian counterpart at the Games. However, Srikanth’s recent form has seen him outclass mightier opponents and India will definitely look for a gold for him. Parupalli Kashyap won India’s only Gold medal in badminton at Commonwealth Games in Glasgow with Srikanth settling for bronze. At Gold Coast too India can expect to keep all three medals in men’s badminton with a strong unit at hand. Supporting Srikanth in improving India’s chances in badminton would be his Pullela Gopichand academy mates Prannoy and Sai Praneeth. Three of them have all gone strength to strength under Gopichand and currently stand at 2nd, 12th and 15th spot in the BWF rankings respectively. Srikanth was India’s best shuttler in 2017 with four Superseries titles to his name. He became the first Indian to win four titles in a year and proved his mettle to the world. After losing the Singapore Open title to Sai Praneeth, Srikanth bagged his first Superseries title by defeating Kazumasa Sakai in straight sets at the Indonesia Open. He then beat Chen Long to win the Australian Open and powered to title at the Denmark Open with a win over Lee Hyun il. Srikanth’s latest triumph came at the French Open against Japanese Kenta Nishimoto in straight sets. ALSO READ: CWG 2018: Will Sushil Kumar complete hat-trick of golds at Gold Coast?